(Natural News) If you live anywhere near a corn-growing area, you need to know that your drinking water could contain a dangerous weed killer known as atrazine – even if your water company’s test results appear to indicate otherwise. That’s because seasonal spikes of the herbicide contaminate drinking water at certain times of year, and water utilities are able to stay in compliance with regulations governing accepted levels simply by avoiding doing their testing during these peak periods. This also means they don’t need to inform customers of any hazardous chemical exposure in the tap water they drink – even though they are indeed drinking toxic water. 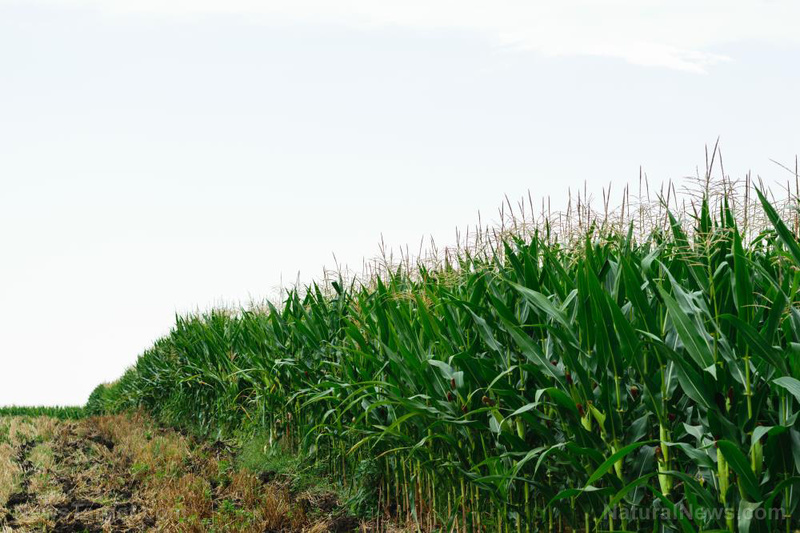 In late spring and early summer, for example, data from the Environmental Protection Agency (EPA) shows that atrazine levels can climb to anywhere from three to seven times the legal limit in some areas of the Corn Belt. A senior science advisor for children’s environmental health for the Environmental Working Group (EWG), Dr. Olga Naidenko, said their investigation revealed that tens of millions of Americans currently have tap water that contains atrazine, but many will never know because of outdated federal policies that let the utilities get away with testing outside of peak contamination times. The Safe Water Drinking Act, which hasn’t been updated since 1996, dictates that only annual averages need to be reported, even though there can be several days or even weeks in growing seasons when people are at risk. According to the EWG, utilities in states like Kentucky, Kansas, Ohio and Illinois had atrazine spikes that were well above the federal limit, which has been set at three parts per billion (ppb), with the two biggest spikes seen in Evansville Illinois (22 ppb) and Piqua, Ohio (16 ppb). Anyone who lives in the vicinity of corn or sorghum fields should be very cautious when it comes to drinking tap water. Just what is it that people in these areas are drinking? Atrazine has been shown to harm several of the body’s systems, including the reproductive and nervous systems. It can also impact hormones like dopamine, testosterone and estrogen. Expectant mothers and their babies are susceptible to even short-term exposure of high levels of the chemical. It has been linked to low birth weight, which is associated with a higher risk of illness in infants as well as conditions like diabetes and cardiovascular disease. Atrazine was banned in the European Union in 2003 on account of its potential to contaminate drinking water, but it’s the second most commonly used herbicide in America today, where 70 million pounds of it were sprayed in 2016 alone. EWG’s Tap Water Database, which contains aggregate data from testing nationwide, showed that the water systems supplying up to 30 million Americans across 27 states are contaminated. Of course, it’s not just atrazine that people need to worry about encountering in their drinking water; American water utilities are also under fire due to the widespread contamination of toxic chemicals like PFAS and agricultural runoff pollutants like nitrate. If you’re concerned about herbicides and other toxins in your tap water, you can’t afford to wait for the regulations to require more honest testing. There is a lot of money at stake here – Syngenta made $3.4 billion from sales of atrazine in 2016 alone – and the EPA isn’t exactly known for putting safety over profits. Consider using a water filter that can remove these chemicals so your drinking water won’t put your health at risk. Read Atrazine.news for more breaking news about the science of this toxic herbicide.